In his recently released state budget proposal, Governor Gavin Newsom made two important and supportive statements on California’s business and economic climate. Second, he underlined his commitment to producing more housing for all income levels. The undersupply of housing is the biggest driver of California’s high cost of living, and therefore the state’s high poverty rate. Housing affordability also discourages in-state business growth and punishes workers with long commutes. 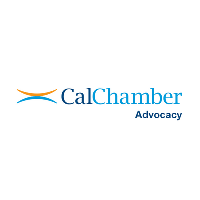 Several other budget proposals are noteworthy because their ultimate shape may directly affect the ability of businesses to grow in California.